The fundamentals learned in the MBA program provide a springboard for me to dive deeper into business material that would have otherwise been very challenging. Have you dreamed of leading a multinational corporation? If so, it’s time to earn your MBA from Norwich University. Increasingly, an MBA degree is the minimum requirement for some of the best careers in management, finance, and other business areas. For nearly 200 years, Norwich University has graduated some of the finest business leaders in the world. Now it’s your turn. Norwich gives you the tools to approach business from a global perspective through hands-on learning, a dynamic curriculum, industry relevant specializations and collaboration with other students. Learn from expert faculty members dedicated to your success, providing one-on one feedback, guidance and a personal learning experience. Specialize by choosing from one of seven industry-relevant concentrations or choose our general MBA. Prepare to sit for PMI exams with our PMI-accredited Project Management concentration. Benefit from an ACBSP accredited MBA program. Norwich University's Project Management concentration in the MBA program is accredited by the PMI Global Accreditation Center for Project Management Education Programs (GAC). Help us learn more about your experience and see if you qualify for the MBA program. Norwich’s 36-credit online MBA program is made up of six courses, each of which is delivered through our online classroom over 11 weeks. Students master one course at a time, to create a strong foundation of knowledge and context for future topics. Understand and be able to apply the key concepts used in the primary functional areas of business management. Apply critical and creative thinking skills to identify business problems and recommend implementable solutions that meet business objectives. Demonstrate the ability to communicate and interact effectively among managers and members of business organizations and their related communities. All concentrations (not the General MBA) require that students embark on an independent research project (IRP) by the start of the fourth course and complete it, in three phases, by the end of the sixth (last) course. Students are encouraged to identify a corporate partner to focus on in a case study and with whom to practice the skills gained in the project management concentration courses. If students are unable to use their own employer, they may select another enterprise. Students will receive instructions for completing each phase of the independent research project in the first week of the three concentration courses. Students will complete the following three courses prior to choosing a concentration or completing the General MBA. This seminar focuses on strategic management of intangible assets of an organization: human capital, information capital, and organizational capital. Human motivation, workforce utilization, performance measurement, leadership, organizational culture and change, management information systems, knowledge management, and contingency planning are discussed. This seminar introduces the problems of finance function and the responsibilities of the chief financial executive. Efficient allocation and use of funds is emphasized. Topics include Financial Analysis, Cash Flow and Financial Planning, Capital Budgeting, Valuation Models, Risk and Return Analysis, Leverage and Capital Structure, Working Capital Management, and International Business Finance. After core curriculum coursework, you will choose a concentration in MBA. Depending on their career goals, students can pursue a general MBA degree or focus their studies on one of seven concentrations. Our General MBA enables you to develop your business foundation through in-depth business management courses, giving you a comprehensive education ideal for your goals. After completing the core courses, students choose two elective courses prior to the final seminar in international business. This seminar addresses the strategic management of international organizations, providing a theoretical framework to compare, contrast, and evaluate the differences between domestic-only and internationally active organizations. Students are to examine and apply concepts pertaining to the globalization of business, the internationalization of a specific organization, and the factors that influence these two outcomes. Learn how to make decisions rooted in the increasingly international context of today's business world. Strategic management of entire organizations, which implies total responsibility for integrating and coordinating all activities and the accomplishment of long-term goals that determine organizational survival are discussed. Analytical models are used to dissect actual case scenarios, identify business problems, and develop strategic recommendations. Students debate topical and controversial current issues in corporate management and have the opportunity to interact with industry leaders. A project that integrates results of prior seminars into a cohesive strategic analysis of an international company is required along with a comprehensive outcomes assessment. The focus of this seminar is the building of business supply chain strategies, which include: supply chain performance, fit and scope, supply chain drivers and metrics, processes, the management of suppliers, inventory strategies, parts management and distribution. Examines demand forecasting, aggregate planning and sales and operation planning, uncertainty, and archetype strategies with a focus on flexibility, speed and technology. Study core business management theories and develop specific project management skills with our PMI GAC accredited project management concentration. Courses are cross-listed with the Master of Science in Information Security & Assurance Program. PMI accreditation of Norwich’s MBA project management concentration signifies that the courses meet the comprehensive academic quality and excellence standards necessary in the industry. Completion of Norwich’s MBA project management courses only fulfills the education requirement for students interested in seeking certification through PMI. To obtain PMI certifications, such as the Project Management Professional (PMP) or the Certified Associate in Project Management (CAPM) designations, students will need to separately pursue the certification process administered through PMI, which includes submitting an application to PMI, acceptance by PMI of your application, and passing a certification exam administered by PMI. Focus on core concepts for career success, such as project finance and accounting, project scheduling, strategic resource management, and effective communication. One of the most controversial issues in a project is the understanding and allocation of risk. This course addresses the risk characteristics of various contractual forms and the roles insurance and surety play in the AEC arena. The emergence of new contractual forms from AIA and the ConsensusDocs require a new perspective on contracts and project organization. This course provides a strategic understanding of contract variables, from plans and specs to integrated project delivery. It builds on key concepts and ideas from GB544 Project Management Techniques, Tools and Practices. Prerequisites: GB544. Every project is judged on its financial performance, and the same project can have different performance characteristics for different players. This course will enable students to address the ever-increasing complexity of the financial arena and impart skills that effective project managers need to understand the financial ramifications of decisions across all project participants. Discussion will include the opportunities and risks of traditional arrangements as well as new models such as the Special Purpose Entity (SPE) and Public Private Partnerships (PPP). This course builds on the topics covered in GB544 and CE539, which were focused on developing a successful project and project portfolio strategy for an organization and putting in place the company’s project contracts and insurance vehicles. Additionally, you will learn how to optimize all aspects of the company’s strategy and construction management methodology for continued improvement of its business construction management operations. Prerequisites: GB544 and CE539, or permission of the program director. Our curriculum is designed to help you develop strategic solutions that enable corporations or institutions to become more energy efficient by reducing their energy demands and usage. This seminar focuses on the energy resources and markets that include: introduction to the origins and the typology of the alternate ways to generate energy; price formation of energy and its markets; description of the existing markets and their most common negotiating instruments in relation to each type of energy: oil, natural gas, coal and electricity; development of energy markets and its regulations in U.S., EU and Latin America; environmental and climate change policies; and the feasible energy mix for the organization under the security of supply. Managing an organization's project to save and use energy in the most efficient way, including introductions to sustainability, energy intensity, energy efficiency and savings are topics of this seminar. These aspects are reviewed for electricity and heat generators energy systems. Students develop an efficiency solution project for a company, including financial aspects, auditing and energy strategies. Prereq: GB 548. This seminar focuses on energy procurement optimization with security of supply, quality and low cost including how to value available and feasible energy sources of supply, manage energy procurement processes, contracts management, sector supply strategies, demand forecasting, quantitative risk assessment, the company flow of information and cooperative procurement techniques. A detailed behavior of each relevant energy market (oil, gas & electricity) from the demand point of view is discussed. Components of the energy markets and the available energy origins are reviewed, as well as internal analysis of the organization needs and processes, to optimize all aspects of a company’s energy procurement. Students will acquire analytical and managerial capacity and skills to resolve the energy procurement of the organization. Prereqs: GB 548 and GB 558. Learn today’s most relevant theories, best practices, and skills focused on foreign exchange markets, managing multinational corporations, the global financial environment, portfolio management, and other areas of concern. This seminar focuses on advanced topics in Corporate Finance and on Multinational Business Finance. Multinational Enterprises (MNEs) are unique institutions that act as catalysts and facilitators of international trade and as important producers and marketers in host countries where their subsidiaries are located. This seminar identifies and describes the differences between multinational business finance and domestic finance. Topics presented are Global Financial Environment, Foreign Exchange Theory, The Foreign Exchange Market and Derivatives, Foreign Exchange Exposure, Financing The Global Firm, Foreign Investment Decisions, and Managing Multinational Operations. Prerequisites: GB532 or permission from the program director. Students learn the characteristics and analysis of individual securities as well as the theory and practice of optimally combining securities into portfolios. This seminar is organized around two basic themes: the security market, a highly efficient market, and an investor who diversifies and takes a long-term approach to investing, generally rewarded with higher returns and less risk. This course illustrates the application of tools and concepts of modern finance. This seminar is the culmination of the study of finance for the MBA program. The seminar relies on the techniques and theories of Corporate Finance, Multinational Business Finance, and Investments to expand students’ strategic perspectives and enhance their financial analysis skills. Case analysis is the approach used in coursework and managing for corporate value creation is the focus of all cases. Prereqs: GB 522, GB 545, and GB 555. Develop the analytical and problem-solving skills and knowledge of the theories and best practices needed for leading an organization today. Courses are cross-listed with the Master of Science in Leadership program. This course focuses on strategic organizational behavior in organizations. You will learn about the importance of strategic alignment in order to enable effective organizational behavior. Systems thinking and organizational behavior provide a framework that you can use both to analyze and influence the behavior of individuals and groups within the organization. This broad-based course analyzes and applies various holistic strategic organizational behavior models in order to assist you in understanding the best ways to assess and impact the strategic alignment of organizations. You will also learn the importance of a leader’s ability to understand and use various organizational behavior and organizational strategy models. Prerequisites: OL530, or permission of the program director. You will apply principles of leading change, strategic organizational behavior, and strategic leadership to people and organizations to impact performance and ensure future success. This course develops an understanding of the implications of strategic alignment and organizational learning to the organization’s success. It differentiates conceptual and theoretical change models to assist students in understanding the best ways to lead change and foster a learning organization while considering individual and group behavior as tied to strategy. The course demonstrates how strategic leadership, organizational behavior, and change theories are applied in a collaborative manner and will lead to aligning stakeholder’s interest. Prerequisites: OL530 and OL550, or permission of the program director. With this concentration, you can cultivate the advanced skills needed to affordably and effectively manage supply and demand within and across companies. Students learn supply chain “movement”, warehouse design, capacity management, delivering customer value, measuring logistics cost and performance, matching up supply with demand, creation of a responsive supply chain and the management of complexity and risk. This seminar focuses on supply chain optimization, which includes topics such as: value assessment of the supply chain, baseline and optimization, capacity management, project management, demand forecasting, quantitative risk assessment, constraint optimization and time estimating techniques. Students learn to integrate important ideas associated with supply chain strategies, logistic operations, and operational optimization with a focus on continuous improvement of supply chain operations. Prereqs: GB 547 and GB 557, or permission of the program director. This concentration is designed to provide the student with the knowledge and skills required to be an effective business leader within all areas of business with specialized expertise in technology management. Students explore key technology management concepts related to strategy, planning, processes, the application technologies in key business operational areas from engineering, production, assembly, warehousing, distribution, transportation, procurement, contracts, networking, inventory and overall business operations. A comprehensive exam is a requirement of the MBA program and is part of the graduation requirement. The exam will cover business concepts discussed throughout the MBA program and is administered during the student's final course. Exam dates and instructions will be provided by Norwich staff well ahead of time. The exam will not affect the student's grade for the course. Our MBA program ends in a residency at the historic Norwich University campus in Vermont. During this time you will have the opportunity to meet with fellow students, faculty, and program staff in both formal classroom and informal settings. Academic recognition ceremonies and commencement cap off the week, and family and friends are encouraged to attend. When applying for the online MBA program at Norwich University, there are two essential factors to consider: what does it cost, and how can you pay for it? There are many ways to get financial assistance and several financial strategies that can help you achieve your academic and professional goals. We are here to help you identify and pursue the options that are best for you. Average starting salaries for recent MBA graduates in the U.S. reached $91,940 in 2016, according to U.S. News & World Report* which means earning your MBA does more than demonstrate your commitment to advancement and expertise — it also pays off. 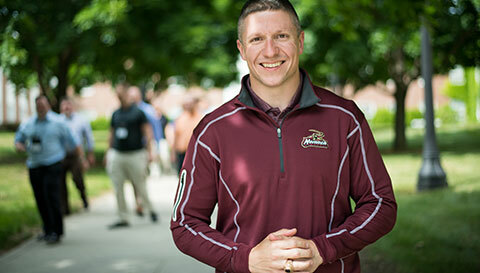 Norwich University’s accredited online MBA program provides you with a foundation for success in a broad range of careers in nearly any sector. 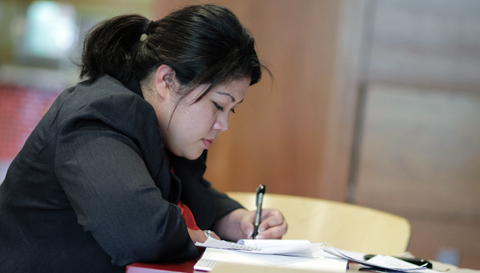 Read more about our Master of Business Administration student outcomes. *Source: Norwich University Master of Business Administration Graduate Survey, fielded March 2016. MBA graduate awarded Firefighter of the Year. Alumnus appointed Director of Land Surveying. Steve Gagner ’03 & M'17 was recognized as The Rebootcamp Entrepreneur of the Year. MBA alumnus promoted to Vice President of construction company in Vermont. Our MBA faculty are subject matter experts in project management, finance, organizational leadership, and business. Most hold doctorate degrees and many hold industry certifications. Each are here to help you reach your academic, professional, and personal goals. Jose Cordova earned his Ph.D. in telecommunications management, as well as his M.A. in economics and M.A. in administrative studies from Ohio University. Jose has over 30 years of experience worldwide in the academic, business, operational and high tech industry, was the program director for the University of San Francisco-Quito, and has taught various courses for the MBA program, School of Business, at California State University-San Bernardino. He has also acted as the senior executive and senior consultant in international business, marketing, finance, information systems and telecommunications for top multinationals in the U.S., Europe and Latin America, including IBM, AT&T, NCR, Schering-Plough, and MasterCard. 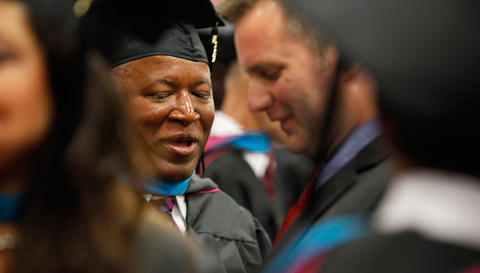 Get to know the graduates of Norwich’s online Master of Business Administration program. It has allowed me to have a rather seamless transition from active duty to the civilian sector and rise above my peer group into senior management. The residency helped me feel like I am apart of Norwich University and now, Norwich Alumni. I have learned may things about myself including my drive to succeed. Through the group projects – to which I’ve always hated in the past – I have learned to be accommodating, tolerant, and not to sweat the small stuff. What courses can I take in the MBA program? Students can choose from a variety of courses specific to their interests in the field of business administration. Course topics include strategic resources management, organizational leadership, managerial finance, strategic marketing, and operations management. Choose either the general MBA, which provides an enhanced breadth and depth of foundational topics in business management, or one of five concentrations: construction management, energy management, finance, organizational leadership, project management, technology management, or supply chain management and logistics. Do MBA students conduct a major research project? MBA students who choose to enroll in one of the three concentrations (i.e., project management, finance, or organizational leadership) conduct a major research project, called the Independent Research Project, over the course of three semesters as a degree requirement. This project utilizes the student’s employer, or other approved organization (a multi-national corporation is preferred), as a case study, and builds upon foundational material presented in the program’s courses. Students have the opportunity to put theory into practice, and offer real solutions to business challenges. An executive summary of this project is presented in person during residency. MBA alumni are employed by organizations such as Boeing, Eaton Corporation, General Dynamics, IBM, Proctor & Gamble, Chevron, U.S. Department of Homeland Security, Bank of New York Mellon, Nationwide Insurance Company, Cigna, Deloitte Consulting, and Fidelity Investments. How are the MBA faculty members selected? Most MBA instructors hold PhDs, and a smaller number hold MBAs and other master’s degrees, from established universities. They must demonstrate a wide range of university/college-level teaching experience and solid, practical experience in business. How long is the MBA program? Yes. In addition to the university’s regional accreditation, the MBA program is accredited by the Accreditation Council Business Schools and Programs (ACBSP), which develops, promotes, and recognizes best practices that contribute to continuous improvement of business education. How much is the online MBA program? When you apply for admission to the MBA program, you can submit transcripts and course outlines from previously attended institutions of higher education to be considered for transfer credits. Transfer credits will be evaluated on a case-by-case basis and may be accepted for up to 12 credits. Through an agreement between Norwich University and the Department of the Army/U.S. Army Command and General Staff College, up to six (6) credit hours may be awarded toward completion of the MBA program requirements.